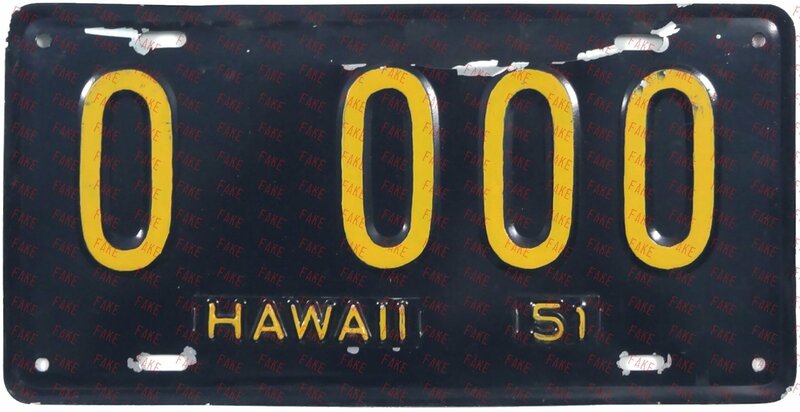 There were no genuine 1951 Hawaii sample plates made. This is one of many examples of real 1952 blank plates being altered to look like a genuine issued plate. Quite often, non-existent serial number types like house numbers, street numbers or as in this case, area codes are used. The key is that the serial number is not embossed. Check the back of the plate.